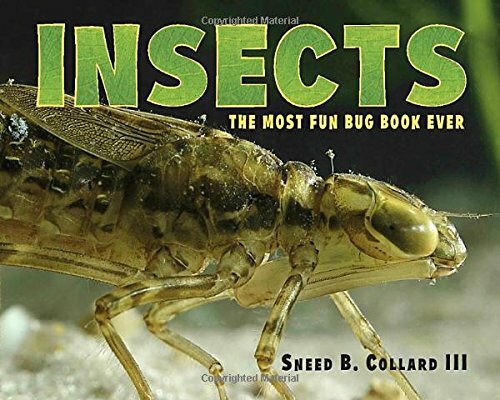 Booktalk: Get creepy-crawly with different kinds of insects: beetles, spider wasps, moths, and more. Discover their habitats, defense systems, communication techniques, and mating rituals with kid-friendly humor and facts. Booktalk: Animals are simply amazing! Many of them migrate for various reasons, often enduring harsh, unforgiving environments. 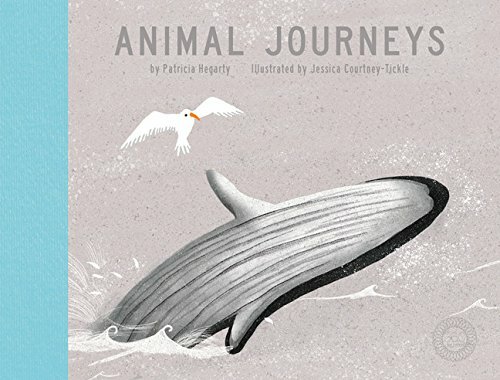 Learn about which animal has the longest migration of any creature; the creative way that one island assists with its crab migration; and much more in this beautifully illustrated journal of journeys. Snippet: Humpback whales can be found in every ocean. They take part in one of the longest mammal migrations, traveling an average of 3,100 (5,000 km) to warmer waters near the equator in order to breed and give birth to their young. Booktalk: Noah Webster, famous for writing the first dictionary of the English language as spoken in the United States, was known in his day for his bold ideas and strong opinions about, well, everything. Spelling, politics, laws, you name it–he had something to say about it. He even commented on his own opinions! With a red pencil in hand, Noah often marked up work that he had already published. So who edited this book? It certainly looks like the ghost of the great American author and patriot picked up a pencil once again to comment on his own biography! 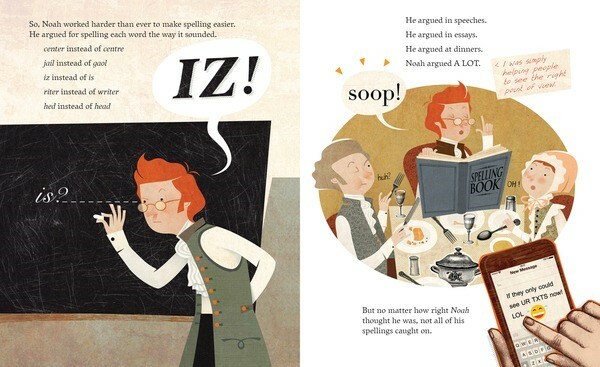 Snippet: So, Noah worked harder than ever to make spelling easier. He argued for spelling each word the way it sounded. Booktalk: Every story in this book is strange and astounding. But not all of them are real. Just like the old game in this book’s title, two out of every three stories are completely true and one is an outright lie. Can you guess which? It’s not going to be easy. Some false stories are based on truth, and some of the true stories are just plain unbelievable. And they’re all accompanied by dozens of photos, maps, and illustrations. Amaze yourself and trick your friends as you sort out the fakes from the facts! Snippet: And speaking of 911, some plants can even rally an animal army to come to their defense! When caterpillars attack plants like corn or lima beans, for example, the plants send out a chemical distress signal. The scent then gets picked up by wasps, which race in to attack the caterpillars. The plants are saved, and the wasps get a tasty caterpillar dinner. It’s nice to have friends you can call on in a pinch. 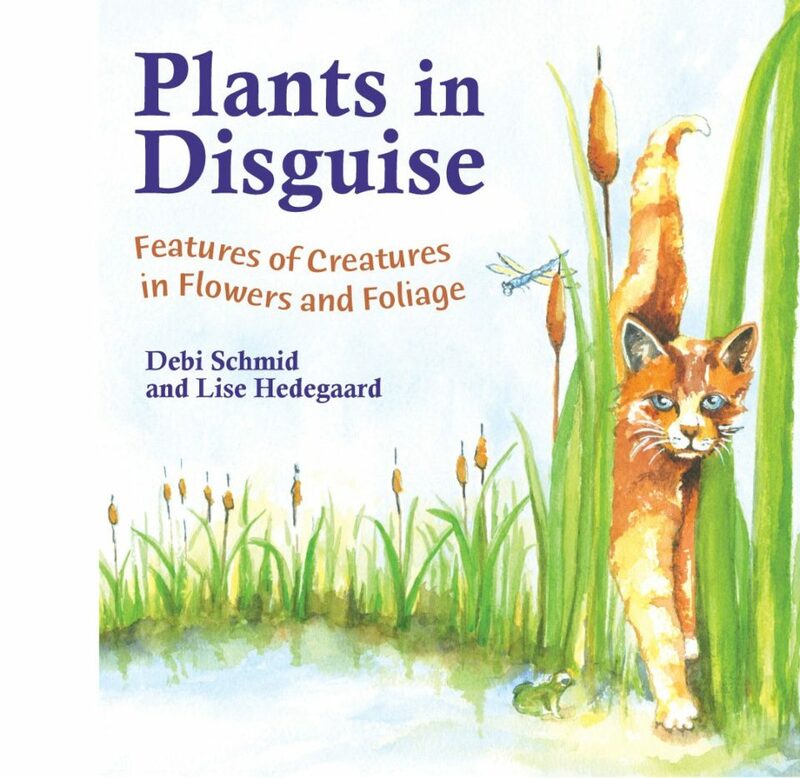 Booktalk: When you wander a woodland forest, skip through a sunlit meadow, or ramble down a dusty path, you might see a furry tail, a bristly beard, or a fuzzy toe. Did you catch a glimpse of an animal? Or was it a plant in disguise? It looks like the tail of a cat, but that brown furry spike is actually hundreds of tiny flowers. Can a porcupine whine? Why, yes, it can! Lots of other animals whine too. My first thought is Melissa Stewart and Steve Jenkins together? 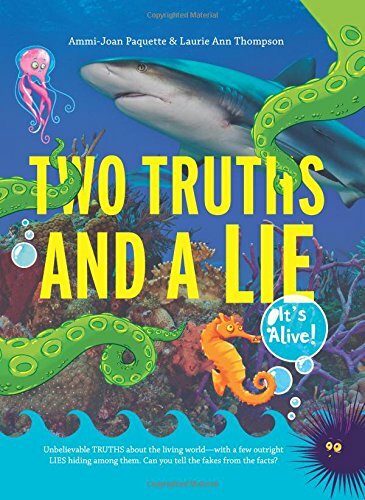 On their own, both have contributed mightily to children’s nonfiction literature so when they combine their talents, the book becomes a must read. An intriguing question for the title? Hmm, never thought about the noise that an aardvark makes. Now my curiosity is at a high level and I really want to dig in. 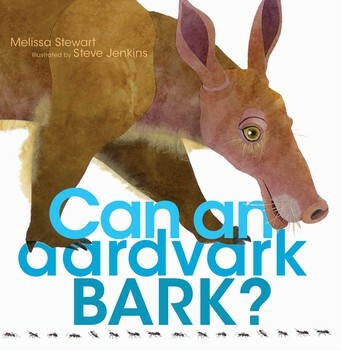 Plus, how can you resist a book with an adorable aardvark on the cover? So I open the book and get a full length view of the aardvark with the details that make Jenkins a big favorite among readers of all ages. Up top, the title question is on the left side of the spread and a response on the right side in a larger font while in the bottom left corner is additional information in a smaller font. With the rhyming of the large font question continuing throughout the book (Can a wild boar roar? Can a giraffe laugh? ), we have a pattern that says “Big time fun shared reading ahead.” K-1 students will love reading along and viewing the artwork. You could also cover the right side and have students predict whether the animal can make that sound. The smaller text will feed the appetite of animal enthusiasts who want more information. After you learn about the feature animal, the next spread highlights four other animals who make the same noise. There are eight feature animals in all. Add four animals that support each lead animal and you have forty animals in all. Now you have an opportunity to work on building categories and making graphic organizers. Divide your class into eight groups and create bubble maps for each sound. Another bonus? Each of the paragraphs that accompany an animal is a great opening to work on cause and effect. Why does the animal make that sound? There’s always a reason. 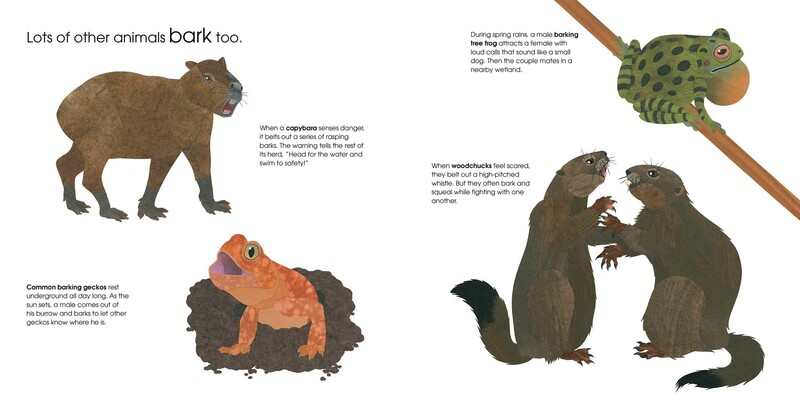 On the final spread of the book, all of the spotlighted sounds are combined so readers can practice their animal communications. Beside being loads of entertainment, this will help them connect to the information previously presented. Whether you have to bark, grunt, growl, or bellow, do what you have to do to add this book to your classroom collection. With so many possible uses, it will be a valuable addition. You should also check out Melissa Stewart’s Clubhouse for more science resources. If you want more stuff from Jeff, go here.